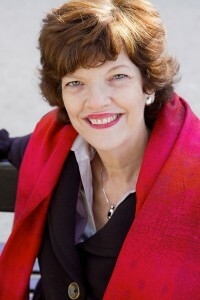 Harriet Welty Rochefort is an author, speaker, freelance journalist, former professor of journalism at the Institut d’Etudes Politiques de Paris (Sciences Po) and longtime resident of France. 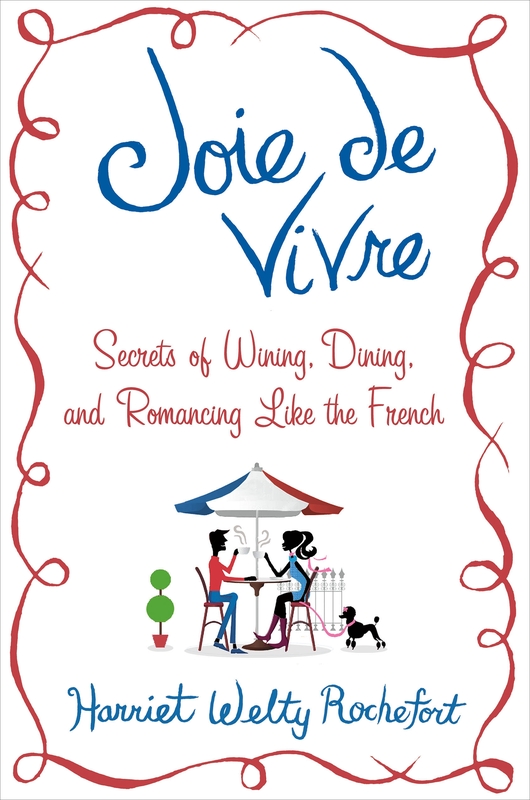 Her latest book on the French, “Joie de Vivre: Secrets of Wining, Dining, and Romancing Like the French” was published in October 2012 by St. Martin’s Press. It was preceded by two light-hearted but informative books, French Toast and French Fried, also published by St. Martin’s Press. A French-American dual citizen, Harriet lives with husband Philippe in the trendy east of Paris in a garden apartment with a tiny lawn just big enough to mow and a fig tree that has miraculously defied both Paris weather and pollution. In the picture Harriet is seated on a bench in another garden, Les Jardins du Palais-Royal, one of her favorite places in Paris. Photo credit: Jen Geer. For a comprehensive look at life in France, visit Harriet and Philippe’s site: www.understandfrance.org. I’m a dutch admirerer of your work! And I must wanted to thank you for your Blog and your sense of detail in your stories. I am living it and It is an inspiration. I’m starting out in wordpress and I will follow you. How lovely to have a Dutch admirer of my work! Please do continue to follow my blog. As I explained to another reader, I’ve taken a little break but will be posting regularly. There are so many stories to tell about France and the French. I’ll be taking excerpts from my own books about the French as well as telling tales about daily life in France, always trying to maintain the sense of detail you mention in your message. Thanks for writing. I visited you more than 5 years ago with a group of women and had a fantastic cheese tour at your home! Traveling again in Sept and want to connect. Please email me! Mrs. Harriet Welty Rochefort: I just finished reading “Joie de Vivre”; it gave me a lot of Joie. I am a Francophile and try to visit France specially Paris every year to get my “fix” of French culture and way of life. I hope you continue to delight us with more of your writing. I also read French toast and enjoyed is so much. Lovely to hear that reading “Joie de Vivre” gave you a lot of joie! I’m so pleased to hear from Francophiles like you who love France as much as I do. Many thanks for taking the time to write. And do continue to look at my blog- I took a little break but will be posting more articles about the French on a regular basis so stay tuned! Hi, I heard you speak a few weeks ago to our Bowling Green State University students at the AUP. I really enjoyed your talk, came home and am reading your books now:) Just finished French Toast and am on Joie de Vivre. I think your books are great and wanted you to know:) I wish you would have brought them with you that day, since I would love to have you sign them, but maybe next time. I will definitely let Berna know when we plan to return so we can book you again! Thanks so much for your message. I’m a bit late in answering it but wanted you to know I appreciate your contacting me regarding my talk at the International Media Seminar at the AUP and my books. I’m glad you liked “French Toast” and hope you’ll enjoy “Joie de Vivre”. I’d love to hear your remarks on them! Do let Berna know when you return. If you bring your books along with you, I’ll be happy to sign them. I know that you write about your love of france and culture. Unfortunately, I no longer live in Pasadena but had I been there I could have met you at Vroman’s. My blog is 4.5 years old, I cover the writing process, women’s interest, and lifestyle; including my years living in Europe. My aim is to uplift and entertain. I wanted to request that you add me to your Blogroll but see that you don’t have one. My error. Anyway, I’ll be reading your work and hope that some day our paths cross. Une amie m’a offert votre livre French Toast. Et je viens de trouver votre site web. Alors je ne peux que vous suivre! My husband and I are true Francophiles, and are fascinated with anything to do with France and the French. From its history, art, architecture, music, literature, history, language (my husband speaks fluent French) etc., we can’t get enough. I, particularly, love to read about Americans living in France, hence your two books, ‘French Toast’ and ‘Joie De Vivre’ are two favorites of mine. They help me better understand and appreciate what it’s like to reside there, as we hope to one day call France our home. Your particular style of writing makes me feel as though you are personally sharing your information between the author and the reader, which makes it an even more enjoyable read. You make France sound both romantic and real, which makes it, to us two, even more appealing, encouraging us to make our move ASAP. In the meantime, I’m enjoying reading your books and your website. Thanks so much for an enjoyable read! I am so embarrassed to be writing to you only now. You have probably given up on reading my blog but I hope not. As I told another reader, I”m planning to stick with it now and hope those who liked it will return. You are my ideal readers as well, being true Francophiles so I hope to hear from you again after another few posts. Thank you so much for writing and your kind words about my books which I’m delighted that to learn are among your favorites. The terrible events in Paris on 15 Nov have saddened the whole world. I hope that you and your family and friends have not been hurt and that you will continue to write and to blog. With my most sincere good wishes, Sarah. Little correction: I wrote ’15 Nov’ when I meant to put ’13 Nov’. Very sorry. Still feeling very shocked and upset. my husband from one location to the next when he was inducted in the Army. She was a year younger than I and had so much promise. Her classmates knew her as Harriet although I believe the gravestone referred to her as Joan… Should I come across the picture I drew I wlll send a copy to you. Lenore, I am having a hard time conceiving that I never answered your kind message on my blog site. I think it was because we had some correspondence by email. In any case, your information is so greatly appreciated. Every time I go to the Père Lachaise cemetery, which is literally only minutes away from my apartment, the first statue I see is that of Harriet Toby. I had looked her up on Google and didn’t learn much. Your recounting of your school days and your memories of her are wonderful to have. Now I can imagine her even more as I contemplate that graceful statue. Did I send you a photo of it? Let me know and if not, I will. With best regards and apologies for this very belated response. Harriet. capacity to focus on our schoolwork). Je suis étudiante et professeur de français. Je cherche les cds des chansons français qui ont, dans la boite, les mots en français et anglais. Pourriez vous m’aider svp? My husband’s website on his page http://www.understandfrance.org/France/FrenchSOngs.html, gives addresses which might be of help. Good luck, Bonne chance! Looking forward to reading your books and blog.